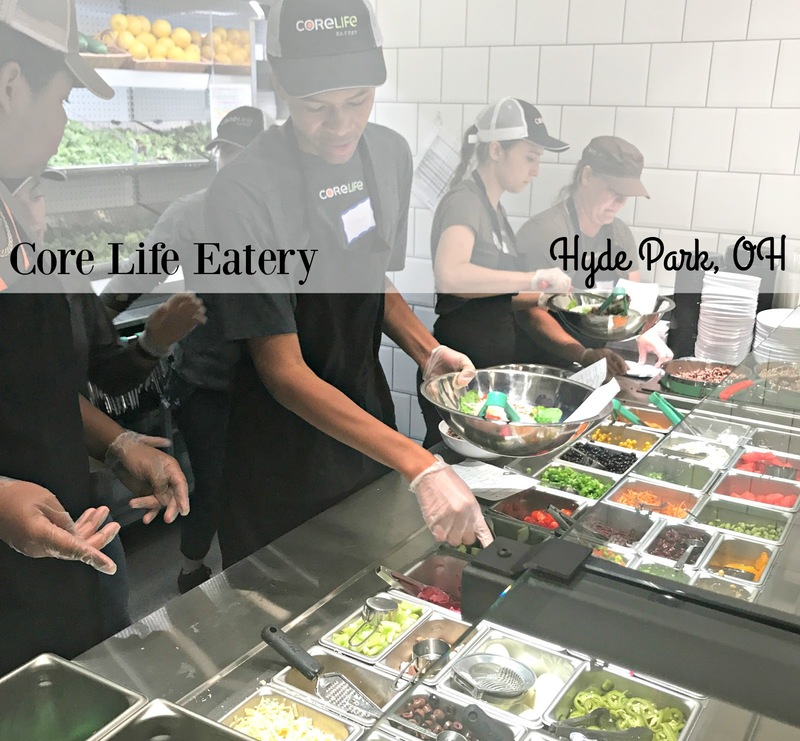 Restaurant Review: Core Life Eatery - Hyde Park | The Food Hussy! 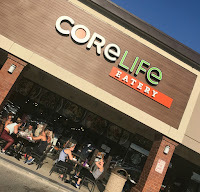 Recently I was invited to try Core Life Eatery which was opening in Hyde Park Plaza. 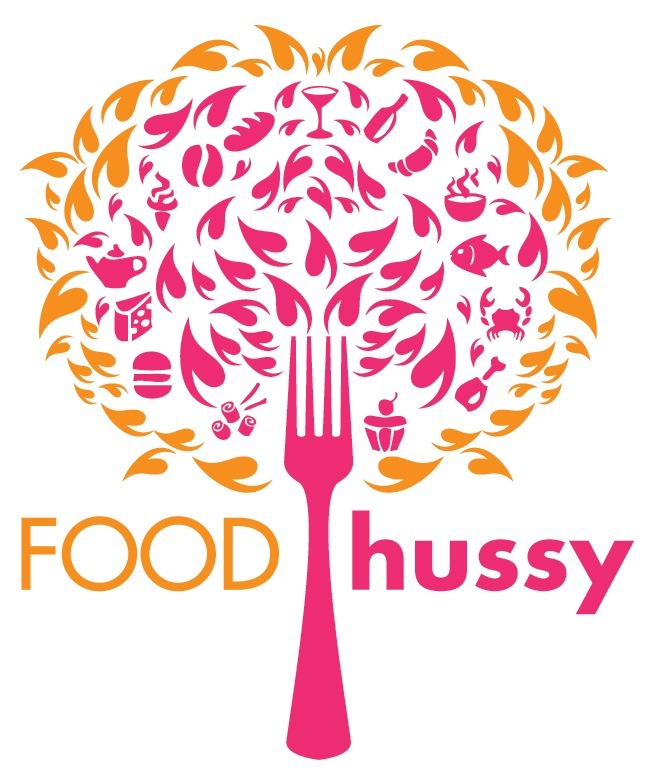 They have locations in ten states and are basically what I call - Hippie Food. 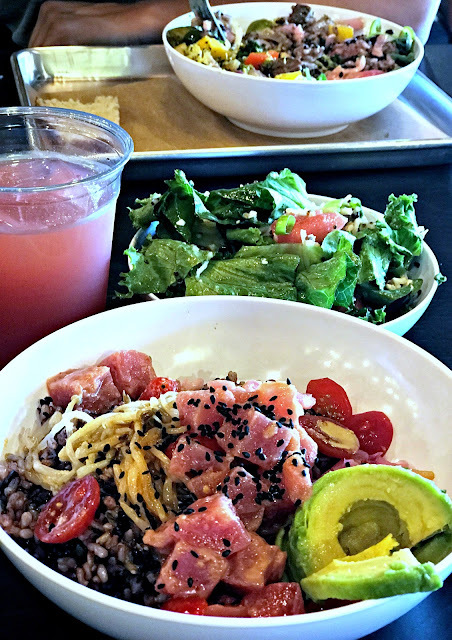 Grain Bowls, lots of quinoa and stuff like Beet Lemonade. Not my typical bag - but it's right up the alley of my friend Audrey - and I know how much she likes free food - so I figure - it's a free dinner with a friend - I'll give it a whirl. 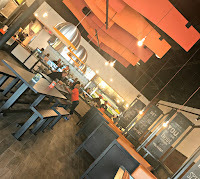 They're all over Ohio but they've recently come to Cincinnati with their Hyde Park location and one in Florence, KY. 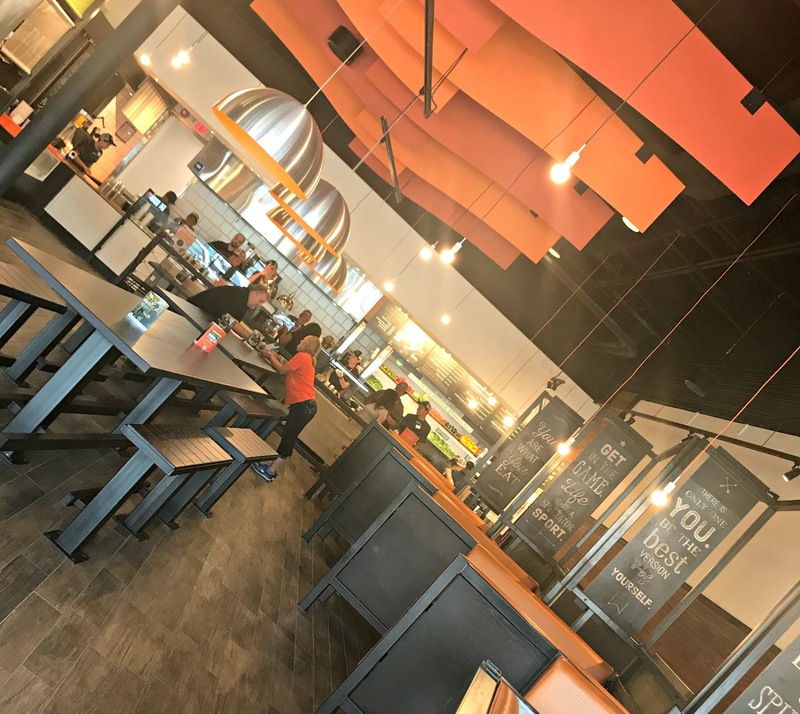 It's the same "fast casual" that is all over the place - it's the Chipotle-ism of the world. They were all ready for their Grand Opening night where they were hosting a free dinner for any and all. Core Life is in the strip mall of Hyde Park Plaza with bright orange, green and white colors and a very clean feel. It's typical in it's decor. I did love that - albeit a hippie menu - there were a lot of options and I was having a hard time deciding what to get. Their choices break down into a number of menu categories: Green Bowls (salads), Grain Bowls (quinoa heaven), Broth Bowls (noodles), Power Plates (good poopin' food) and Warm Rice Bowls (Chipotle style). There's also a Kids Power Menu and Hand Crafted Beverages (Beet Lemonade, Fruit Punch, Honey Ginger Lemonade, etc). You can tell just by looking at it - it's super colorful and just FEELS healthy. Bright colored vegetables and proteins - it all looked delicious! In addition to all the categories - you can also build your own - but we decided to order off the menu for some tried & true before we venture on our own. Audrey got the Ranch Flank Steak Warm Rice Bowl. I almost ordered this - but since she was drawn to it too - she took this one. 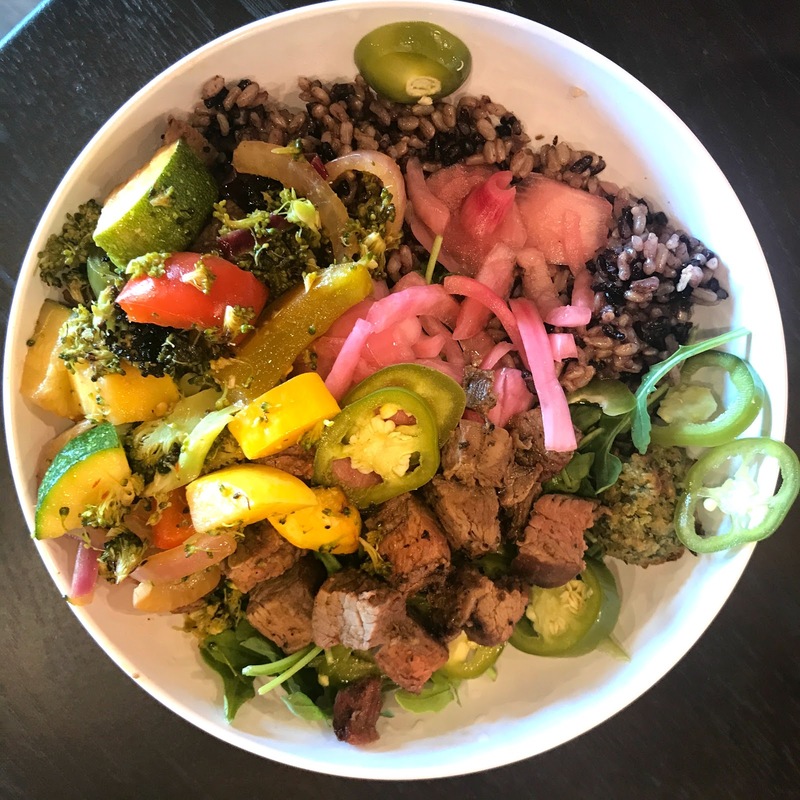 Their bowls are BIG - this one is filled with purple rice, grass-fed steak (oh Lord don't get me started on this), roasted vegetables, falafel, arugula, pickled jalapenos, pickled red onions and beef bone broth. I could tell all took quickly - Audrey didn't love it. She's normally all about this foo-foo food as I all it - but it just wasn't tripping her trigger. She said it was ok but the combination of ingredients just didn't work that well. We were both impressed that at least the steak was medium rare and not overcooked. 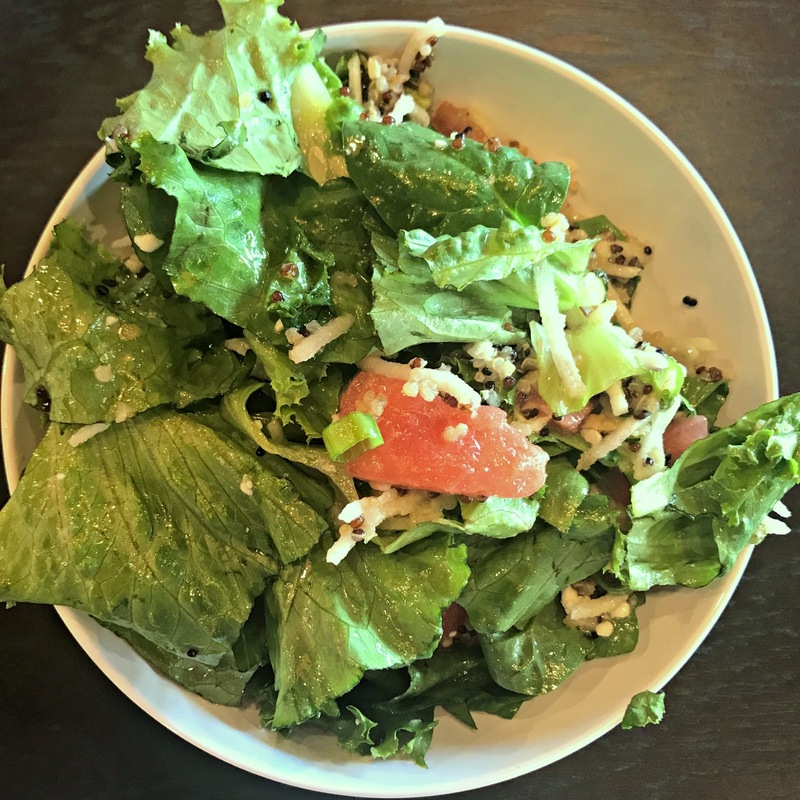 They also have a Watermelon Feta Salad on the menu for the summer (you can get chicken as well if you like) - it's loaded with lettuce, watermelon, quinoa, spinach, jicama, pickled red onions, feta, scallions and fresh mint. The pic above doesn't show much watermelon but it's under there. This is the small side salad size. I liked it - but I could have used more watermelon and more feta. My main choice was the Tuna Poke Fire - minus the Fire (I can't do much spicy). 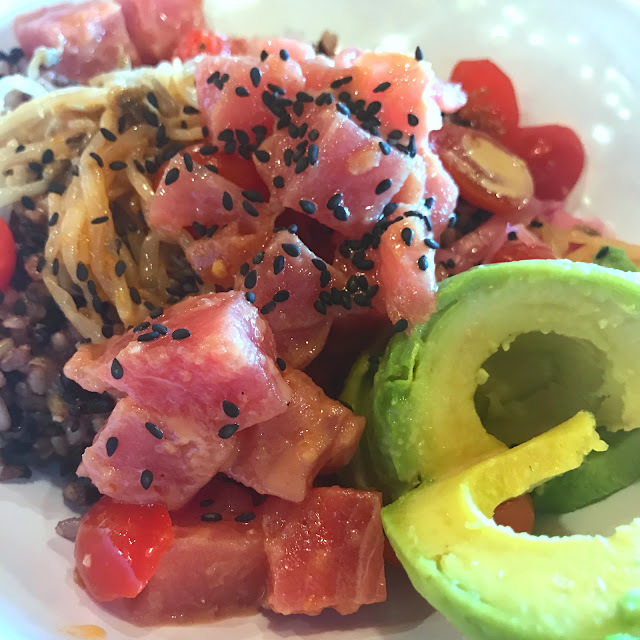 This bowl had Ahi Tuna Poke, avocado, pickled jalapenos, pickled red onions, pickled red cabbage, sesame Sriracha sprouts and purple rice. I added tomatoes as well. I had Poke once at a fancy restaurant in Mt Lookout that has long since closed - but ever since - I've loved it. And I have to say that I was shocked at how much I liked this Hippie Food!!!! I basically ended up licking the bowl clean. Why Should You Go? I think it's going to be all-dependent on the choice you pick - but I loved Core Life and would definitely return. I would probably get the Poke again - but I have to say - the Broth Bowls really sound delicious as well - I'd love to try out the Spicy Ginger Steak & Rice Noodle Bowl - (oh so much Kale!). The Beet Lemonade was good as well - I had a Hibiscus Lemonade one time and it was very similar - sweet but not overly sweet like regular lemonade. Good Stuff! Very dissapointed on how my wife and I was treated by the manager My wife had told the Cashier Stacy as I recall that our portion size wss vey small for a large as we have visited Core Life every week just about since the opening we love it but will definitely not ever be back the manager was of no help on our complaint and said that they have cut there portion sizes.